As you read this, Phillip and I are heading down to Disneyland for our long-awaited trip for to celebrate his 30th birthday! I’m so excited to see everything decorated for the holidays- I’ll be sure to take lots of pictures to share. With all of the Thanksgiving hubub and trying to get my pattern shop ready for the weekend, I didn’t end up posting a Thrifty Thursday last week. We also didn’t get out to any thrift stores or estate sales as we usually do. As a result, all of these finds are from the week before last. My favorite find of the week was this cute little female Dream Pets deer in the photo above. 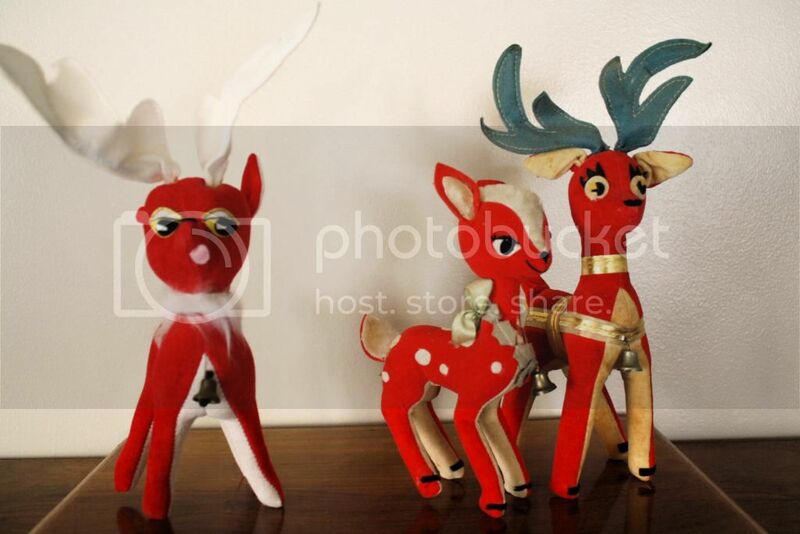 I matched her up with my green-antlered male deer, who I thrifted last year, though when I got my Christmas boxes out I realized I had found another Dream Pets deer. They also seemed like they might go together due to the white and red color scheme but I ultimately decided she went better with Mr. Green Antlers. The picture I took of all of them turned out pretty funny though- like some kind of Dream Pets love triangle! Which one do you think is a better match? 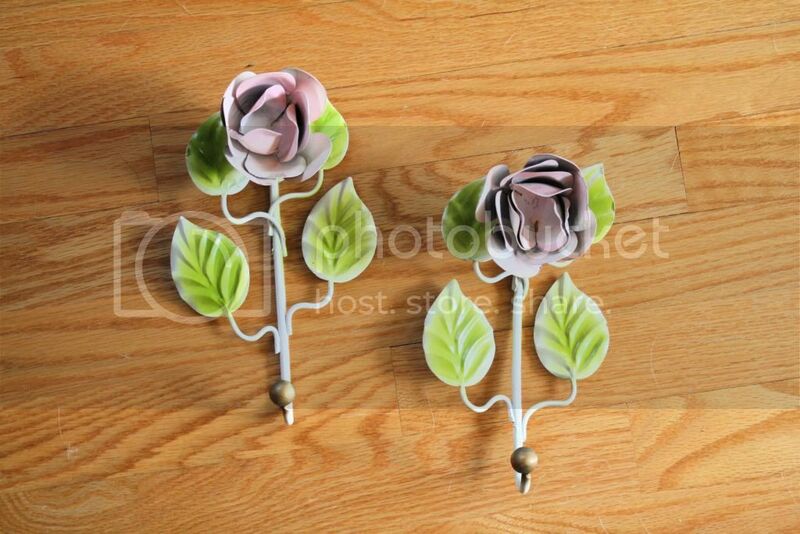 I found these rose wall hangers at a yard sale. Phillip was skeptical but I think they’re cool! I think they would look great in a little girl’s room or bathroom. I’ll be putting in the antique space soon. I found this container of knitting needles at an estate sale for $2. 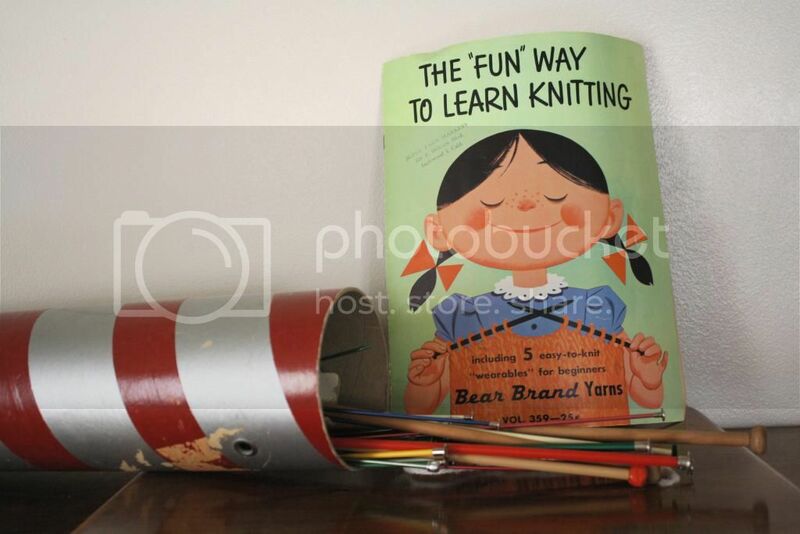 I couldn’t resist it when I saw this adorable knitting book that came with it. I’m still a very novice knitter but I’m determined to get better on of these days, and now I’m prepared! 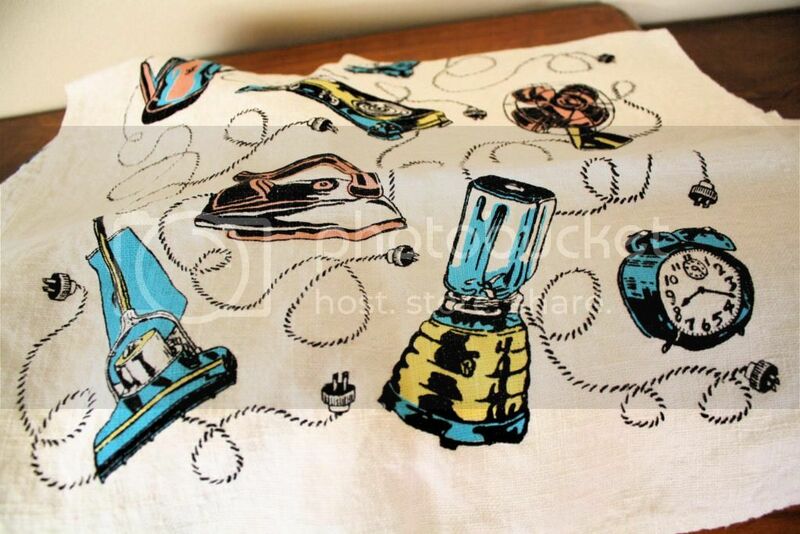 We found four of these cute linen tea towels with a household appliance theme at an estate sale. I’m not sure if they’re real vintage or repros. Does anyone know? 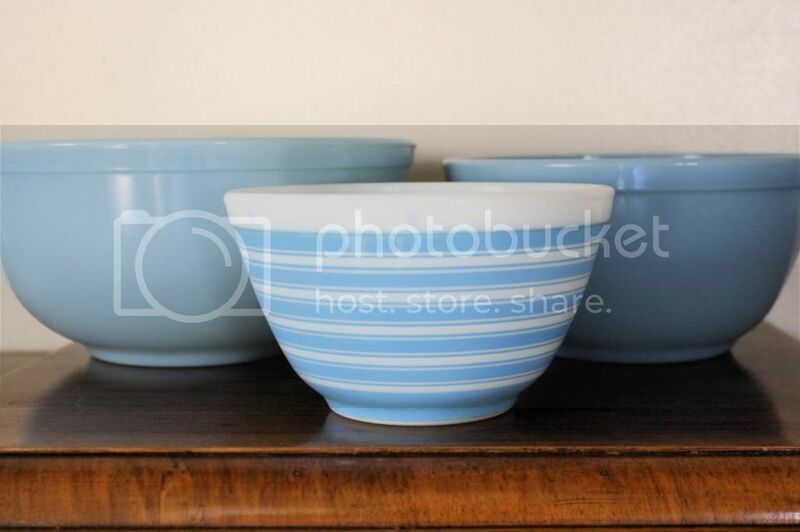 I found these three light blue Pyrex bowls at a yard sale. This is the first time I’ve seen them in that color and also the first time I’ve found this striped pattern. More Christmas! 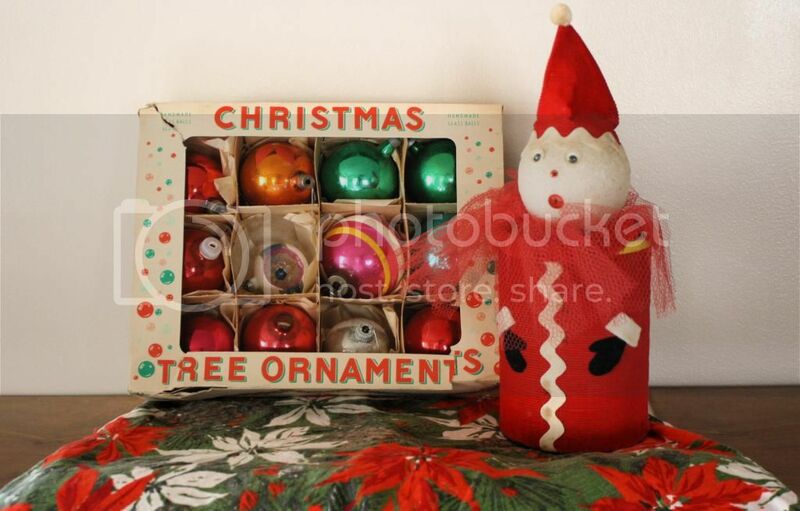 I found this box of ornaments and this little Santa/snowman? guy for 25 cents. He’s actually a fabric-covered coffee tin. 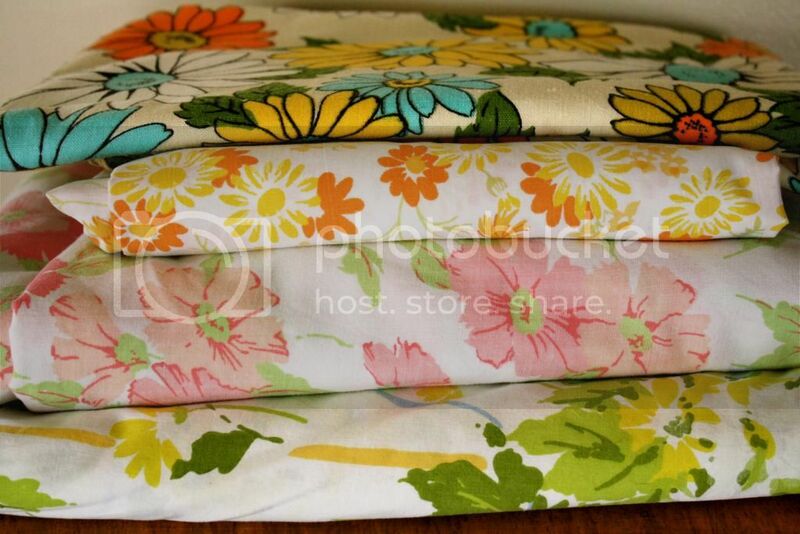 I found this tablecloth at a thrift store last week as well. You can’t see, but it has a cute pom-pom trim. 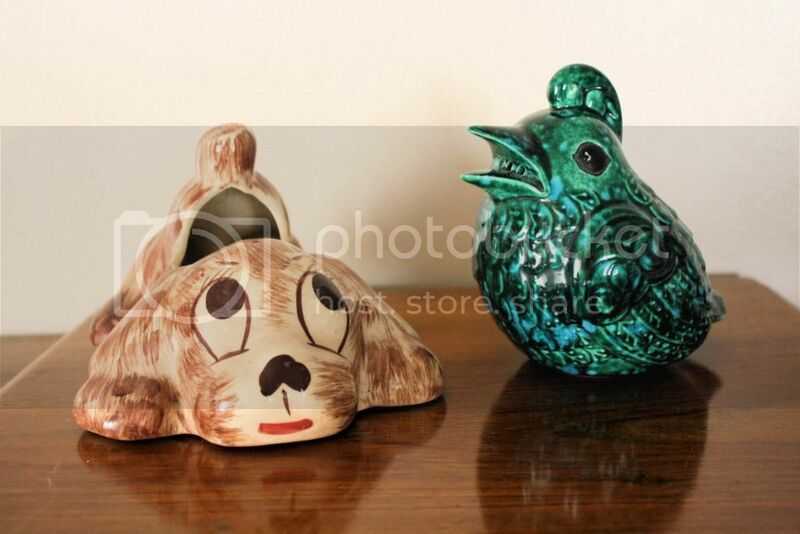 And lastly, this doggie planter and green quail were some more yard sale finds. Well, that concludes my finds for this week, thanks for checking out this week’s Thrifty Thursday! 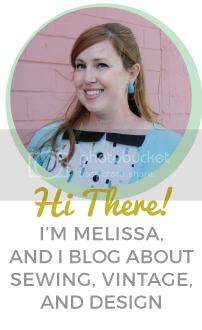 As usual, I’ll be linking up at Apron Thrift Girl, A Living Space, Sir Thrift A Lot, and Joyful Treasure Hunting, so head on over and check out what everyone found this time around!